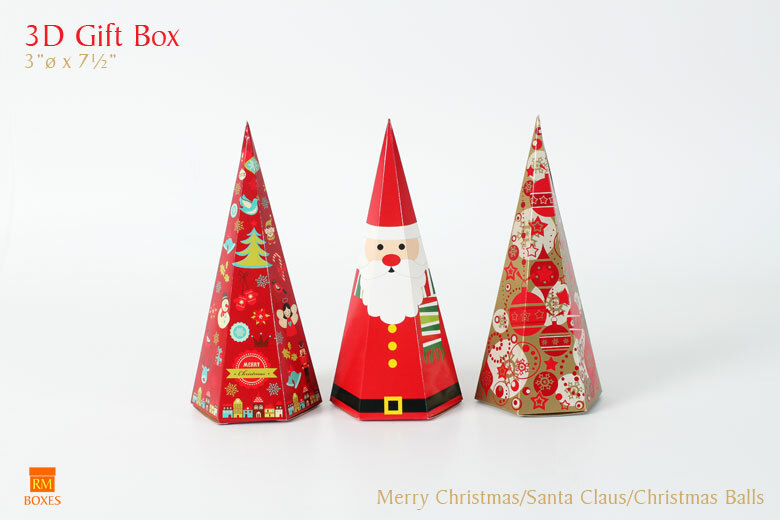 For this year's holiday collection, we've added some nice multi-dimensional Christmas boxes to hold your delectable treats. 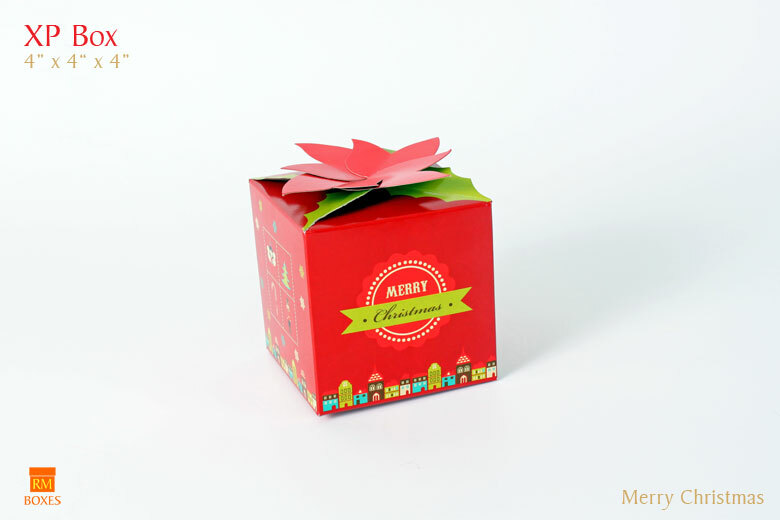 While regular boxes are functional, elegant and serve their own purpose, multi-dimensional boxes are eye-catching, dynamic, memorable and fun. 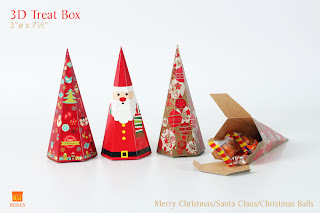 They literally stand out and are easily noticeable in any store, bazaar table, or noche buena spread, and need little additional trimming except a gift card. 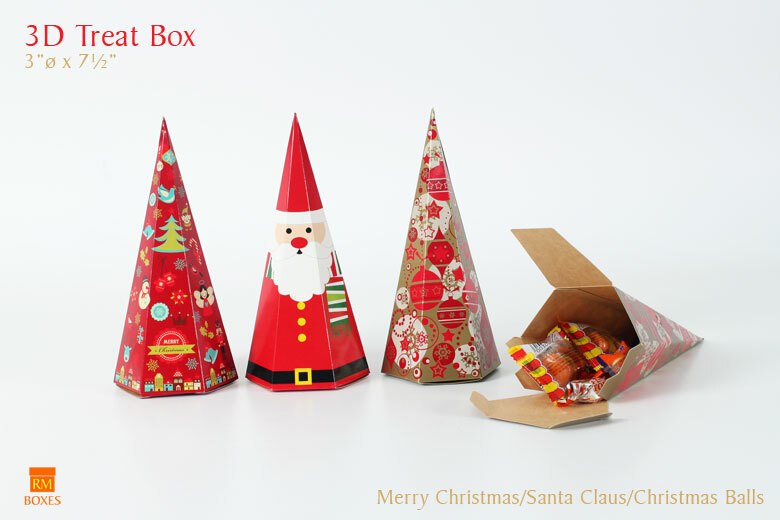 We have our 3D Treat Boxes which are cone shaped boxes with a hexagon base. It comes in 3 varieties - Santa Claus, Merry Christmas, and Christmas Balls. 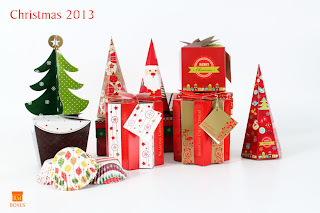 It is ideal for small candies, chocolates, yema, polvoron, pastillas and other yummy treats. Perfect for token gifts for classmates, officemates, etc. 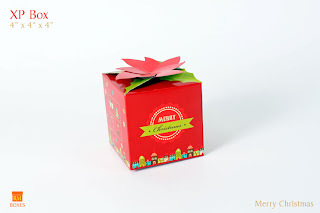 Our Poinsettia Box gets a modern update with our new "Merry Christmas" design. Perfect for cookies, individually-wrapped bars, polvoron, or even a mug with some gourmet coffee or tablea. 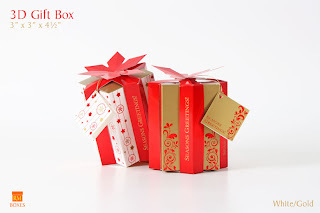 The new 3D Gift Box is a gorgeous 2-piece ensemble with a sleek inner box, and a decorative outer box designed to look like a ribbon with a poinsettia top. This box is a complete package in itself and needs little more than a card attached with a gold cord through a hole provided on top. Made using the best Foldcote material and printed in luxurious gold and red, this box is designed to impress. Put your best goodies - Belgian Chocolate Truffles, Food for the Gods, gourmet cookies, etc. Christmas will not be complete without a beautiful tree. 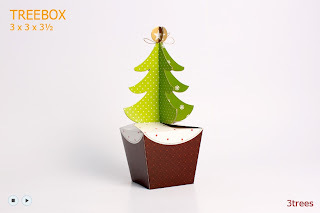 We reprise one of our bestsellers from previous years - the Christmas Tree box. 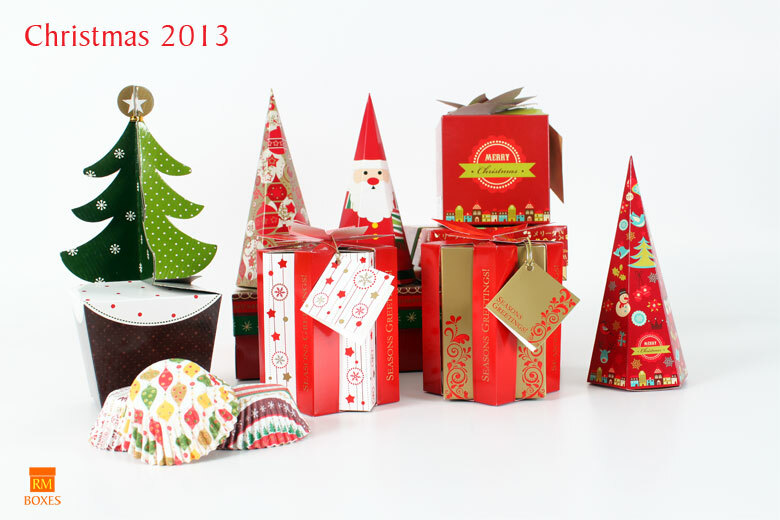 Christmas boxes designed and manufactured by RM BOX CENTER.